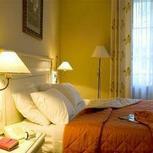 The hotel is comfortably and peacefully situated in the centre of Montpellier. 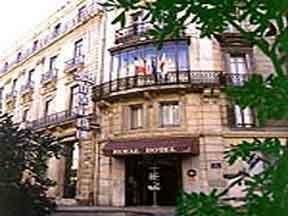 The Hôtel Royal offers peace and comfort in the heart of Montpellier. It has all the advantages of being in the centre and yet, it is very quiet. 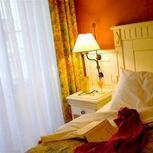 In addition to this, the hotel offers you a warm welcome, attentive staff, a relaxing atmosphere and standard services. It features 46 rooms with air-conditioning and a contemporary design. 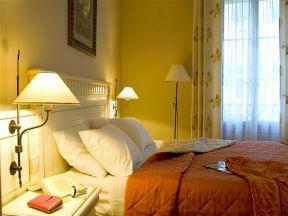 In all of them, you will find a hairdryer, direct telephone, alarm clock, satellite TV, Canal+, minibar and safe box. The hotel has a lift and a relaxation area/living room. Capital city of the Mediterranean Languedoc, between the Cévennes and the 'Big Blue', Montpellier has wonderful treasures to reveal. 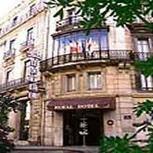 It is a city of art and history, with ancient hotels and magnificent gardens. It is also an academic, industrial and vine-growing city, which is thriving. Nearby are 4 parking areas, SNCF railway station, theatre, pedestrian area, Prefecture, business quarters, Fabre Museum, 'promenade de l'Esplanade' and Congress Palace (Corum). 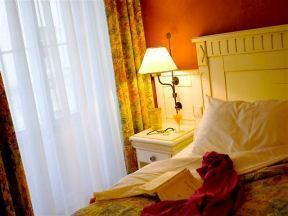 The hotel has 46 rooms, decorated in a contemporary style with all modern amenities as well as canal +.